An example Area Chart, showing trends over time among related attributes. The area chart is like the line chart except that the area below the plotted line is filled in with color to indicate volume. It emphasizes a change in values by filling in the portion of the graph beneath the line connecting various data points. Click here to free download Edraw Charting Software. 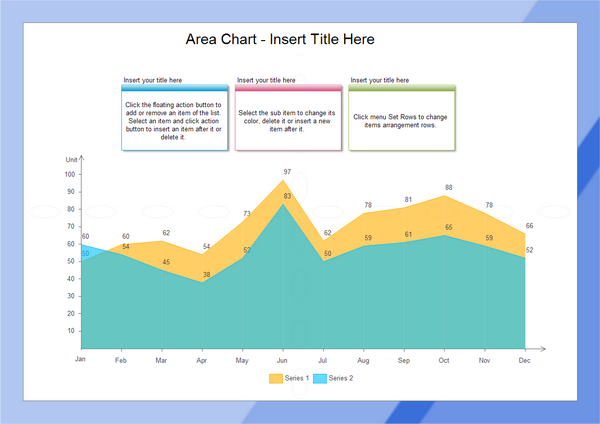 Then the embedded templates will facilitate your creation and presentation of area chart in minutes. View our Area Chart Symbols here.